MR. NOFACE'S SHRUG LIFE: What America Means to Me! This is what America means to me. No, not dead soldiers, but a country worthy of loving (even if it means confronting) and dying for no matter what your religion, political ideology, race, gender, or sexual orientation is. Rest In Peace CPL. 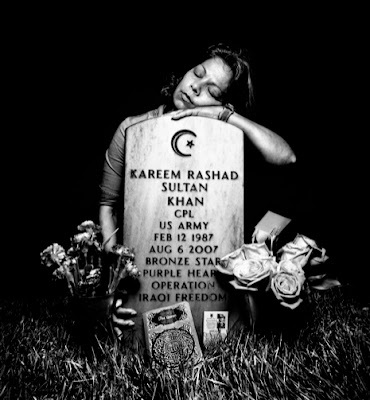 Kareem Rashad Sultan Kahn.